Cell Danger Response: Oxidative Shielding or Oxidative Stress? My interest in studying the mitochondrion was ignited by a course I completed 3 years ago. As a naturopathic physician and researcher in generative medicine and amateur cosmologist, my explorations in electric universe cosmology have taken me to a deeper appreciation of the electricity of life and its role in methylation and detoxification. Fascinated by the body’s stress and repair response, I wondered about the cytochromes and enzymes of the electron transport chain. Since reviewing the literature on mechanisms of the cell danger response I woke this morning to a new revelation. The mitochondrial membrane not only acts a a conveyer of accelerated electrons through the electron transport chain to produce ATP. This double layered lipid membrane laced with specialised cytochrome proteins with the outer layer, MOMP, serving as a membrane potential platforming cell signalling post translational regulation. Pattern recognition receptors respond to proteins released from cellular or mitochondrial damage and pro-inflammatory cytokines by segmentally reducing the electrical potential. Specific regions of the inner membrane responds to corresponding reduction in MOMP and hydrolyzes cardiolipin, a major lipid component involved in mitochondrial fission. Mitochondrial membrane fission is a process that is used to segment and remove damaged fragments of the membrane and dispersing mitochondrial in the cytosol during ATP synthesis. MOMP responds to oxygen levels and sulfide oxidation, fluctuating NADH and NADPH redox reactions in order to govern its own folate metabolism and redox as well as influencing cytosolic conditions to initiate nuclear DNA methylation. By altering the NADH/NAD+ and NADPH/NADP ratios mitochondria direct the alternation of cell differentiation activities of DNA methylation and cell cycle arrest to the undifferentiating, demethylating cell cycle activation and the initiation of nucleotide synthesis. ion-dependent nucleotide formation for its own repair in G1 and S phases. Redox reactions are are governed by changes in pH and temperature but the notation is confusing and difficult to track the reduction and oxidation reactions. Reduction is the gain of electrons or a decrease in oxidation state by a molecule, atom, or ion and designated by subtraction of a plus charge. Oxidation is the opposite. It is important to know this because molecular redox agents work strategically within the methionine, folic acid, and urea cycles and the transsulfation, sulfonation and detoxification pathways as well as the cell cycle, and protein synthesis. Cell membrane protection via the sulfide route to oxidize microbial metabolites with H2S+/SH-, and its regulatory function of the electron transport chain with two other gasotransmitters, N2O-/NO- and CO2-/CO-. Solubility and cell water structuring influencing protein conformational changes and its activity with SAMe in cystathionine beta synthase. The gasosensor, heme protein between the C-regulatory terminal and the N-catalytic terminal is present in the Fe2+/Fe3+ functions to reduce or deactivate CBS enzyme in the presence of CO or NO. Fe2+ displaces the cysteine on the cysteine ligand on the catalytic arm of CBS when it binds with CO (to form Fe-CO) leading to a 40 – 90 % CBS inhibition with no disruption of PLP binding. GSH oxidation and reduction is a key mechanism in DNA synthesis. Glutathione levels relate to maintenance of reduced glutaredoxin or thioredoxin, which are required for the activity of ribonucleotide reductase, the rate-limiting enzyme in DNA synthesis. The ratio of reduced glutathione to oxidized glutathione within cells is often used as a measure of cellular oxidative stress. Strategic generation of oxidants and antioxidants govern non-enzymatic redox activation of SAM-SAH, BH2-BH4, GSH-GSSG, NOS-NO–. The nature of metabolic networks is that they are dynamically interactive within the opened-system dynamics of life. Enzyme kinetics run the elaborate interplay of methylation, transsulfuration, sulfonation, sumoylation and glucuronidation involved in the metabolic networks, but the oxidation and reduction-producing activity, exchanging protons and electrons, are responsible for these organised processes. Prolonged oxidative states are not well tolerated by cell membranes and succumb to lipid peroxidation resulting in impaired neurological development and neurotransmitters. The chronicity of cellular damage eventually involves more DNA and electron transport chain damage than can be repaired. Eventually mitochondrial turnover is impaired resulting in age-related chronic diseases. Minor nucleotide variation in genetic code altering gene expression have made for successful survival debuts when they were adaptive to the varying environmental conditions like starvation and pestilence, most often reducing enzyme efficiency. The popular SNPs come to mind in FTO, MAO, COMT, SHMT2, MTHFR, MTR, MTRR, BHMT, AHCY, NOS1,2,3, (nNOS, iNOS eNOS) GAD1, CBS and its subunits, CAT, CSAD, CDO, GSS, GSR, GST, SUOX, SULT1,2,3 MAT1A, DNMT3, PNMT, that have been established to be associated with modern life disorders. Some not so common ones related with sulfur dysfunction are SLC13A1 the sulfate transporter and SLC3A1, the sulfate/oxalate transporter. Enzymes are generally substrate dependent some with very low Km values requiring low concentrations and some with high Km values like CBS to modulate complete degradation of homocysteine. However, enzyme function is regulated by protein and vitamin or mineral binding in different ways. Enzyme activation is the product of an allosteric protein binding to its regulatory and a cofactor or coenzyme. Cysteine is utilized for multiple cellular functions including the synthesis of the large reservoir of the antioxidant, glutathione. In fact, cysteine is the limiting reagent in the biosynthesis of glutathione and its synthesis and utilization are tightly regulated. SAMe activating regulatory C-terminal or serine binding to CBS inducing the rate-limiting aminoacrylate of cystathionine for activation by the substrate homocysteine. A non-enzymatic metal ions or organic coenzymes, derivatives of vitamins, soluble in water by phosphorylation, activates the catalytic domain, (and pyridoxal 5’ pyrophosphate activating the catalytic terminal of CBS). Key determinants of GSH synthesis are the availability of the sulfur amino acid precursor, cysteine, a product of CBS, and the activity of the rate-limiting enzyme, glutamate cysteine ligase (GCL), which is composed of a catalytic (GCLC) and a modifier (GCLM) subunit. The second enzyme of GSH synthesis is GSH synthetase (GS). GSH levels down regulate GCLC by feedback inhibition. CBS, under extreme conditions and CTH, under physiological conditions migrate to mitochondria and shift the formation of H2S to SH- to cytokines of acute inflammation, e.g. TNF-a. 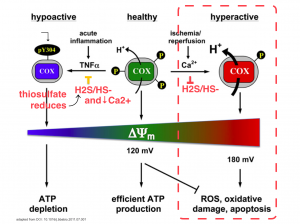 High H2S will induce CAT and MPST 16 to form thiosulfate a potent antioxidant and Ca+ chelator, sparing Ca+ use to preserve MOMP; it is also an electron donor to sustain the electron transport chain. What also modulates H2S formation is high concentrations of H2S itself, will down regulate GCLC, (but not CBS), and also down regulate inducible nitric oxide synthase NOS, and cyclooxyrgenase COX,. 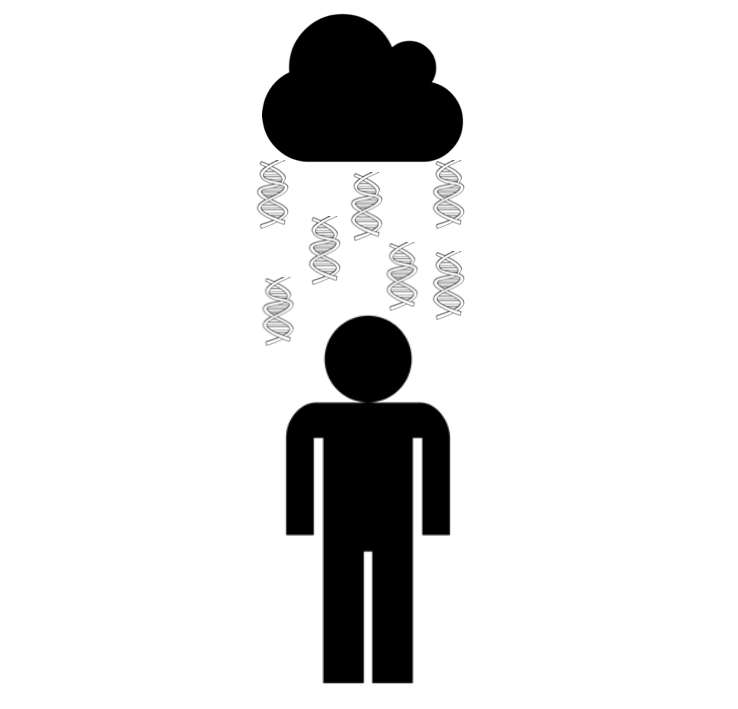 Dysregulation of GSH synthesis by polymorphisms of GCLC and GCLM is increasingly being recognized as contributing to the pathogenesis of many pathological conditions. These include diabetes mellitus, pulmonary fibrosis, cholestatic liver injury, endotoxemia and drug-resistant tumor cells. Manipulation of the GSH synthetic capacity is an important target in the treatment of many of these disorders. Small protein molecules, vitamins and minerals have therapeutic implications. Considering the role of oxidation conserving ATP demand for protection and attack and oxidative shielding cell generation to noxious substances, it is wise to know when, where and how much to intervene with vitamins, minerals and antioxidants. 1: Scott I, Youle RJ. Mitochondrial fission and fusion. Essays Biochem.2010;47:85-98. doi: 10.1042/bse0470085. Review. PubMed PMID: 20533902; PubMed Central PMCID: PMC4762097. 2. Banerjee R, Zou CG. Redox regulation and reaction mechanism of human cystathionine-beta-synthase: a PLP-dependent hemesensor protein. Arch Biochem Biophys. 2005 Jan 1;433(1):144-56. Review. PubMed PMID: 15581573. 3. Naviaux RK. 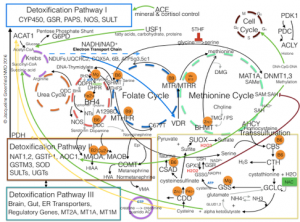 Mitochondrial control of epigenetics. Cancer Biol Ther. 2008 Aug;7(8):1191-3. Epub 2008 Aug 4. PubMed PMID: 18719362. 4. Li L, Moore PK. Putative biological roles of hydrogen sulfide in health and disease: a breath of not so fresh air? Trends Pharmacol Sci. 2008 Feb;29(2):84-90. doi: 10.1016/j.tips.2007.11.003. Epub 2008 Jan 3. Review. PubMed PMID: 18180046. 5. Dugbartey GJ, Bouma HR, Lobb I, Sener A. Hydrogen sulfide: A novel nephroprotectant against cisplatin-induced renal toxicity. Nitric Oxide. 2016 Jul 1;57:15-20. doi: 10.1016/j.niox.2016.04.005. Epub 2016 Apr 16. Review. PubMed PMID: 27095538. 6. Lu SC. Glutathione synthesis. Biochim Biophys Acta. 2013 May;1830(5):3143-53. doi: 10.1016/j.bbagen.2012.09.008. Epub 2012 Sep 17. Review. PubMed PMID: 22995213; PubMed Central PMCID: PMC3549305. 7. Lu SC. Regulation of glutathione synthesis. Mol Aspects Med. 2009 Feb-Apr;30(1-2):42-59. doi: 10.1016/j.mam.2008.05.005. Epub 2008 Jun 14. Review. PubMed PMID: 18601945; PubMed Central PMCID: PMC2704241. 8. Naviaux RK. Oxidative shielding or oxidative stress? J Pharmacol Exp Ther. 2012 Sep;342(3):608-18. doi: 10.1124/jpet.112.192120. Epub 2012 Jun 13. Review. PubMed PMID: 22700427. 9. Naviaux RK. Metabolic features of the cell danger response. Mitochondrion. 2014 May;16:7-17. doi: 10.1016/j.mito.2013.08.006. Epub 2013 Aug 24. Review. PubMed PMID: 23981537. 10. de Grey AD. 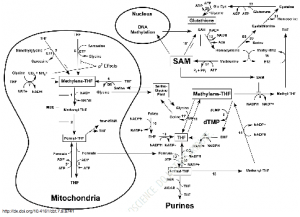 A proposed refinement of the mitochondrial free radical theory of aging. Bioessays. 1997 Feb;19(2):161-6. Review. PubMed PMID: 9046246. 11. Shimizu T, Huang D, Yan F, Stranava M, Bartosova M, Fojtíková V, Martínková M. Gaseous O2, NO, and CO in signal transduction: structure and function relationships of heme-based gas sensors and heme-redox sensors. Chem Rev. 2015 Jul 8;115(13):6491-533. doi: 10.1021/acs.chemrev.5b00018. Epub 2015 May 29. Review. PubMed PMID: 26021768. 12. Tait SW, Green DR. Mitochondria and cell signalling. J Cell Sci. 2012 Feb 15;125(Pt 4):807-15. doi: 10.1242/jcs.099234. Review. PubMed PMID: 22448037; PubMed Central PMCID: PMC3311926. 14. Ahangarpour A, Abdollahzade Fard A, Gharibnaseri MK, Jalali T, Rashidi I. Hydrogen sulfide ameliorates the kidney dysfunction and damage in cisplatin-induced nephrotoxicity in rat. Vet Res Forum. 2014 Spring;5(2):121-7. PubMed PMID: 25568705; PubMed Central PMCID: PMC4279637. 15. Hüttemann M, Helling S, Sanderson TH, Sinkler C, Samavati L, Mahapatra G, Varughese A, Lu G, Liu J, Ramzan R, Vogt S, Grossman LI, Doan JW, Marcus K, Lee I. Regulation of mitochondrial respiration and apoptosis through cell signaling: cytochrome c oxidase and cytochrome c in ischemia/reperfusion injury and inflammation. Biochim Biophys Acta. 2012 Apr;1817(4):598-609. doi:10.1016/j.bbabio.2011.07.001. Epub 2011 Jul 13. Review. PubMed PMID: 21771582; PubMed Central PMCID: PMC3229836. 16. Furne J, Springfield J, Koenig T, DeMaster E, Levitt MD. Oxidation of hydrogen sulfide and methanethiol to thiosulfate by rat tissues: a specialized function of the colonic mucosa. Biochem Pharmacol. 2001 Jul 15;62(2):255-9. PubMed PMID: 11389886. 17. Subhash N, Sriram R, Kurian GA. Sodium thiosulfate protects brain in rat model of adenine induced vascular calcification. Neurochem Int. 2015 Nov;90:193-203. doi: 10.1016/j.neuint.2015.09.004. Epub 2015 Sep 9. PubMed PMID: 26363090. 18. Reed MC, Thomas RL, Pavisic J, James SJ, Ulrich CM, Nijhout HF. 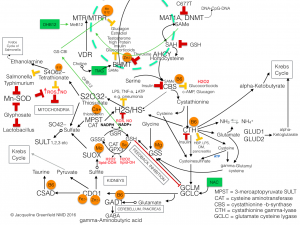 A mathematical model of glutathione metabolism. Theor Biol Med Model. 2008 Apr 28;5:8. doi: 10.1186/1742-4682-5-8. PubMed PMID: 18442411; PubMed Central PMCID: PMC2391141. 19. Tisman G, Garcia A. Control of prostate cancer associated with withdrawal of a supplement containing folic acid, L methyltetrahydrofolate and vitamin B12: a case report. J Med Case Rep. 2011 Aug 25;5:413. doi: 10.1186/1752-1947-5-413. PubMed PMID: 21867542; PubMed Central PMCID: PMC3199279. One way to determine whether a person is a secretor of their blood group is to test their saliva for their ABO blood group antigens. This method is not commonly available, as a supply of red blood cells is needed for testing the saliva. Another way to find secretor status is to test for Lewis blood group. The Lewis a (Le a) antigen is normally secreted into the blood and then adsorbed onto red blood cells,  where it can be agglutinated with anti-Lewis a reagent. 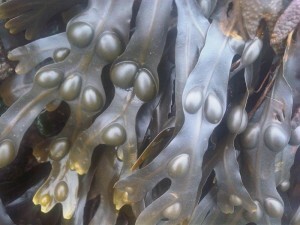 Fucose is a common sugar, found in seaweeds such as fucus vesiculosus (bladderwrack), and also forms the terminal sugar of the H antigen in people with blood group O. Fucosyltransferase enzymes can attach the fucose molecule onto another sugar or glycoprotein through fucosylation, such as that of the blood group A or B antigen or Lewis antigens. If there is a working copy of the FUT2 SNP the Lewis a antigen will be catalysed into Lewis b by the FUT2 enzyme. Consequently those with a functional FUT2 enzyme don’t have any Lewis a antigen on their erythrocytes, but they will have the Lewis b antigen, and therefore a finding of Lewis b on erythrocytes indicates an ABH secretor. The problem arises with the small number of people who don’t have the Lewis blood group antigens on their blood cells. This is similar to the rare ‘Bombay’ blood group, which results in a loss of production of ABH antigens on erythrocytes (from loss of FUT1 function): the fucosyltransferase 1 (FUT1) gene is expressed predominantly in erythroid tissues, giving rise to FUT1 (H enzyme) giving rise to products found on erythrocytes. About 5% of the European population (and more in some other populations) lack a functional fucosyltransferase 3 (FUT3) enzyme. These FUT3 negative people are unable to make any Lewis antigens. They may be either ABH secretors or non-secretors, but the Lewis test cannot be used to determine secretor status due to the lack of any Lewis antigen for agglutination. Despite the differences in disease risk between ABH secretors and non-secretors, clinical experience suggests that Lewis negative individuals appear to have unique interactions with certain disease states. 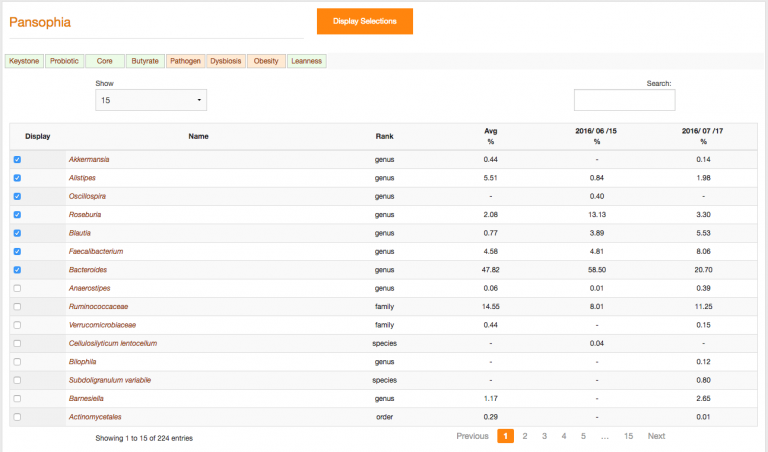 Opus 23 Pro  provides algorithms in the Lumen app to find secretor status from the FUT2 rs601338 SNP, and to estimate Lewis status from 23andMe raw data based on the SNPs available for FUT3 (all except one of the most common FUT3 SNPs resulting in Lewis negative status are typically reported by 23andMe). This can give the practitioner another level of insight into the likely glycosylation levels, immune status, inflammatory and health risks of the patient, as well as the likelihood of relevance of testing for tumour markers. Haas H, Falcone FH, Schramm G, et.al. Dietary lectins can induce in vitro release of IL-4 and IL-13 from human basophils. Eur J Immunol. 1999 Mar;29(3):918-27. PMID: 10092096. Albertolle ME, Hassis ME, Ng CJ, et. al. Mass spectrometry-based analyses showing the effects of secretor and blood group status on salivary N-glycosylation. Clin Proteomics. 2015 Dec 30;12:29. doi: 10.1186/s12014-015-9100-y. PMID: 26719750; PMCID: PMC4696288. Prakobphol A, Leffler H, Fisher SJ. The high-molecular-weight human mucin is the primary salivary carrier of ABH, Le(a), and Le(b) blood group antigens. Crit Rev Oral Biol Med. 1993;4(3-4):325-33. PMID: 7690601. Hu D, Zhang D, Zheng S, et. al. Association of Ulcerative Colitis with FUT2 and FUT3 Polymorphisms in Patients from Southeast China. PLoS One. 2016 Jan 14;11(1):e0146557. doi: 10.1371/journal.pone.0146557. PMID: 26766790; PMCID: PMC4713070. Lindesmith L, Moe C, Marionneau S, et. al. Human susceptibility and resistance to Norwalk virus infection. Nat Med. 2003 May;9(5):548-53. PMID: 12692541. Tandon OP, Bhatia S, Tripathi RL, Sharma KN. Phagocytic response of leucocytes in secretors and non-secretors of ABH (O) blood group substances. Indian J Physiol Pharmacol. 1979 Oct-Dec;23(4):321-4. PMID: 528036. Tandon OP. Leucocyte phagocytic response in relation to abo blood groups. Indian J Physiol Pharmacol. 1977 Jul-Sep;21(3):191-4. PMID: 612601. D’Adamo PJ, Kelly GS. Metabolic and immunologic consequences of ABH secretor and Lewis subtype status. Altern Med Rev. 2001 Aug;6(4):390-405. Review. PMID: 11578255. McGovern DP, Jones MR, Taylor KD, et. al. International IBD Genetics Consortium. Fucosyltransferase 2 (FUT2) non-secretor status is associated with Crohn’s disease. Hum Mol Genet. 2010 Sep 1;19(17):3468-76. doi: 10.1093/hmg/ddq248. PMID: 20570966; PMCID: PMC2916706. Smyth DJ, Cooper JD, Howson JM, et. al. FUT2 nonsecretor status links type 1 diabetes susceptibility and resistance to infection. Diabetes. 2011 Nov;60(11):3081-4. doi: 10.2337/db11-0638. PMID: 22025780; PMCID: PMC3198057. Hurd EA, Domino SE. Increased susceptibility of secretor factor gene Fut2-null mice to experimental vaginal candidiasis. Infect Immun. 2004 Jul;72(7):4279-81. PMID: 15213174; PMCID: PMC427463. Henry S, Oriol R, Samuelsson B. Lewis histo-blood group system and associated secretory phenotypes. Vox Sang. 1995;69(3):166-82. Review. PMID: 8578728. Orntoft TF, Vestergaard EM, Holmes E, et. al. Influence of Lewis alpha1-3/4-L-fucosyltransferase (FUT3) gene mutations on enzyme activity, erythrocyte phenotyping, and circulating tumor marker sialyl-Lewis a levels. J Biol Chem. 1996 Dec 13;271(50):32260-8. PMID: 8943285. Narimatsu H, Iwasaki H, Nakayama F, et. al. Lewis and secretor gene dosages affect CA19-9 and DU-PAN-2 serum levels in normal individuals and colorectal cancer patients. Cancer Res. 1998 Feb 1;58(3):512-8. PMID: 9458099. Vestergaard EM, Hein HO, Meyer H, et.al. Reference values and biological variation for tumor marker CA 19-9 in serum for different Lewis and secretor genotypes and evaluation of secretor and Lewis genotyping in a Caucasian population. Clin Chem. 1999 Jan;45(1):54-61. PMID: 9895338. Nordgren J, Sharma S, Bucardo F, et. al. Both Lewis and secretor status mediate susceptibility to rotavirus infections in a rotavirus genotype-dependent manner. Clin Infect Dis. 2014 Dec 1;59(11):1567-73. doi: 10.1093/cid/ciu633. PMID: 25097083; PMCID: PMC4650770. Clausen JO, Hein HO, Suadicani P, et. al. Lewis phenotypes and the insulin resistance syndrome in young healthy white men and women. Am J Hypertens. 1995 Nov;8(11):1060-6. PMID: 8554728. Hein HO, Sørensen H, Suadicani P, Gyntelberg F. Alcohol intake, Lewis phenotypes and risk of ischemic heart disease. The Copenhagen Male Study. Ugeskr Laeger. 1994 Feb 28;156(9):1297-302. PMID: 8009753. Hein HO, Sørensen H, Suadicani P, Gyntelberg F. Alcohol consumption, Lewis phenotypes, and risk of ischaemic heart disease. Lancet. 1993 Feb 13;341(8842):392-6. PMID: 8094167. Kauffmann F, Frette C, Pham QT, Nafissi S, Bertrand JP, Oriol R. Associations of blood group-related antigens to FEV1, wheezing, and asthma. Am J Respir Crit Care Med. 1996 Jan;153(1):76-82. PMID: 8542166. Cruz-Coke R. Genetics and alcoholism. Neurobehav Toxicol Teratol. 1983 Mar-Apr;5(2):179-80. PMID: 6346123. Melis C, Mercier P, Vague P, Vialettes B. Lewis antigen and diabetes. Rev Fr Transfus Immunohematol. 1978 Sep;21(4):965-71. PMID: 734307. Wacklin P, Tuimala J, Nikkilä J. Faecal microbiota composition in adults is associated with the FUT2 gene determining the secretor status. PLoS One. 2014 Apr 14;9(4):e94863. doi: 10.1371/journal.pone.0094863. PMID: 24733310; PMCID: PMC3986271. Sheinfeld J, Schaeffer AJ, Cordon-Cardo C, Rogatko A, Fair WR. Association of the Lewis blood-group phenotype with recurrent urinary tract infections in women. N Engl J Med. 1989 Mar 23;320(12):773-7. PMID: 2922027. Opus 23 Pro genetic analysis and reporting software by Dr P. D’Adamo www.opus23.com.